An Evening with Dovid Gabay, Shlomo Simcha and Yitzy Spinner. 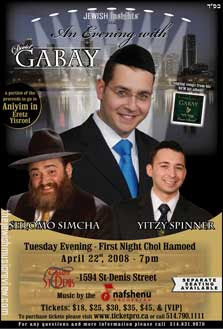 Jewish Insights presents: An Evening with Dovid Gabay, Shlomo Simcha and Yitzy Spinner. The first night chol hamoed Pesach April 22nd, 2008. Show begins 7pm Sharp. Separate seating available. Music by the Nafshenu Orchestra (toronto). Tickets prices: $18, $25, $30, $35, $45 & VIP. To purchase tickets please visit www.ticketpro.ca or call 514.790.1111. For more information or questions please call 514.831.9670. 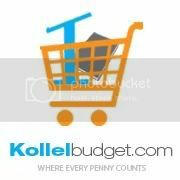 A portion of the proceeds to go to Aniyim in Eretz Yisroel.